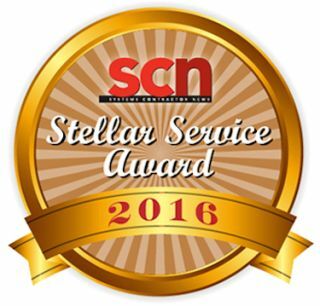 For the third year, we’re turning to you, our readers, to determine the winners of our SCN Stellar Service Awards. Over the next week, we encourage you to take a minute to reflect on the companies that have made the difficult task of running your business a little bit easier this year, and thank them with a vote on our ballot. Voting will be open from now until Friday, February 19. Below, we’ve listed all the candidates for each category. Please take a moment to read through the descriptions and vote here. The winner will be announced in our 2016 Spring Special Edition of Systems Contractor News. Through the Atlona Academy Education Portal, partners and clients have the opportunity to access more than 20 hours of industry-accredited online courses covering foundational AV education including HDMI, EDID, HDCP, HDBaseT, 3D, 4K, Digital Connectivity, Troubleshooting, and more, plus a comprehensive understanding of the Atlona product line. All material carries CEDIA and InfoComm credits. Participants can earn three different levels of Atlona certifications to gain more benefits from their Atlona relationship. Biamp’s online training provides integrators and consultants with self-guided sessions that provide individuals timely knowledge on trends, practices, and products that are shaping today’s dynamic AV marketplace. By offering 24/7 access to online training opportunities, self-paced certification for VoIP, as well as Biamp’s TesiraFORTÉ platform, a dedicated YouTube training channel, and access to Cornerstone—Biamp’s online technical support knowledgebase, this leading program creates the world’s most complete learning experience for the web-based user. CrestronOnline courses from Crestron offer a convenient alternative for busy AV professionals who want to begin their learning experience or increase their knowledge of Crestron products. First, there are full-length, introductory self-paced courses that are prerequisite to attending specified classroom training. These courses provide a great way to get essential information that will benefit any system designer, installer, or programmer, whether they attend classroom training or not. Also available are Crestron Quick Courses, individual short movies that cover a variety of specific topics and tips. Extron offers a host of convenient online training in multiple languages, providing ideal opportunities for students to earn AV industry continuing education units. Online training includes Extron’s AV Associate Certification, and a portion of XTP Certification allows students to learn at their own pace and gain a better understanding of the fundamentals. Extron also offers a Configuring for Control training and a Publications Review program, which is unique opportunity to read specified Extron publications for education units. Launched during AV Week in October 2015, Middle Atlantic Products’ AV Academy arms the consultant and contractor community with training that can be applied to any phase of the construction project life cycle—from specification to installation. In these webinars, participants not only learn solutions and trends that will form new best practices, they can easily earn InfoComm, NSCA, AIA, and BICSI credits by attending the live online webinars and achieving a passing test score. Peerless-AV’s dedication to professional development is evidenced through its frequent webinars focused on educating the industry. The team presents approximately eight annually, each containing current industry information and usually certified by InfoComm for Renewal Units. By bringing in a variety of AV experts to work alongside Peerless-AV leaders, the webinars offer an array of knowledge garnered from different backgrounds. The coordination and dedication to these trainings is a true testament to Peerless-AV’s team strength. QSCLaunched in 2013, QSC’s Q-SYS Online Training has been the gold standard for DSP training for more than 6,000 certified students from around the world. With more than 250 videos in three different languages (English, Spanish, and Chinese), Q-SYS Online Training’s platform is simple: short, engaging (often times hilarious) video training, presented for free in a completely searchable, modular format. Modules conclude with a short quiz, and certification culminates with a design, graded with in-depth feedback from Q-SYS trainers, and worth 4 RU InfoComm credits. Vaddio offers an easy, online solution to learn about its products through its online training portal. It also offer certifications for several of its products to help with your InfoComm RU credit renewal! Vaddio has the (wo)man power to bring in the necessary staff for your online training to ensure your questions are answered. AVAD offers dealers an array of training opportunities that focus on everything from product training to business management, allowing them to stay a few steps ahead of the competition. Online and classroom product demonstrations, technical certifications, and complete system coursework are all offered to accommodate dealers' schedules. AVAD brings product trainings right to dealers’ doorstep through its Vendopalooza and Commercial Days tours, which have been recognized by industry publications as outstanding dealer resources. Part of the Biamp Education Experience, Biamp’s hands-on product certification training provides customers with a comprehensive face-to-face learning program. Designed to empower integrators and consultants with information, exercises, and tips for Biamp’s market-leading products, the multi-day sessions offered in the U.S., Hong Kong, UAE, and India have become the industry standard for the global delivery of highly comprehensive AV education. Led by Biamp Application Engineers, sessions also include an interactive bonus: an abundant lunch! CrestronCrestron Training Institute (CTI) prepares you to join the elite of custom installers and integrators through a comprehensive training curriculum, currently at 22 courses. With 57 training facilities worldwide, each staffed with dedicated instructors, and convenient online courses, CTI equips you to compete and grow in the AV industry. Achieved by tens of thousands of professionals, DigitalMedia 4K Certification is the industry’s only standard for expertise in design and installation of 4K digital AV networks. Education and training are the cornerstones of Extron’s commitment to its customers. Extron Institute and certification programs enable AV professionals to build upon their understanding of existing technologies and to learn about emerging technologies such as 4K, digital video, streaming AV, and AV control. They are offered at Extron’s 40 offices worldwide and are designed to help refine digital AV system design by teaching concepts and techniques for different technologies. AVAD’s online ordering system features Quote Builder, a customizable tool that allows the quick generation of professional estimates in real time from anywhere. AVAD Quote Builder is accessible 24/7 on www.avad.com to provide AVAD dealers the ability to save, email, or print quotes directly from their dealer account, track invoices, and organize orders. Any quote can easily be converted to a live order with the push of a button. Core Brands Dealer Portal provides dealers with three main guarantees: market-leading programs, innovative products, and exceptional service. The user-friendly portal is a one-stop information hub that provides dealers with real-time inventory updates, tracking information, and order history, as well as product manuals, training, support information, and more. Simplifying business transactions, the portal offers leading Core Brands products, in addition to CI-focused products from Nortek sister companies like Omnimount, Broan-Nutone, and Nortek Security & Control. CrestronThe Crestron website is a vast portal of invaluable resources for installers, integrators, and end users. Even non-Crestron dealers consider it their best source for industry and product information. For residential and commercial projects, end-user clients can get detailed product and design information on thousands of leading products and solutions. You can access the materials you need in downloadable/viewable formats, too, such as mp3, streaming, YouTube, and Vimeo. The Draper Pro Portal provides access to all of Draper’s online tools for AV professionals—from its Projection Planner to electronic price lists, status updates, and more—in one convenient place. Open to all AV professionals, the Pro Portal also includes a Projector Lift Selector Tool, configuration tools for StageScreen and FocalPoint screens, and allows dealers to obtain accurate freight quotes and track order status. Extron Insider provides customers with access to Extron software downloads, certification programs, System Builders that allow users to quickly and easily build a system and order online in just a few clicks, product configuration tools, informational product and training videos, and access to valuable technical articles, white papers, and design guides. Extron has taken extra care to provide each Extron Insider with access to the precise information they need for their specific job. Middle Atlantic’s website gives dealers convenient access to the products and dealer information they need, including recent orders, stock availability, and account-specific pricing. The site’s Configurator tool makes it easy for customers to select, configure, quote, and purchase the precise infrastructure system to fit their project. Now in its second phase of development, Configurator can easily calculate and add margin markup to quotes, navigate and organize their projects with ease, and access more products. AVAD sales and marketing efforts are customer focused to raise dealer awareness of its continuum of promotions and incentives. In 2015, AVAD launched its online, fully interactive audio and video product catalogs featuring spec sheets, videos, and other value product information accessible to dealers through computers, tablets, and mobile devices (www.AVADCatalog.com). Additionally, AVAD maintains active social media accounts and AVAD mobile apps to keep dealers connected to sales initiatives that help their business thrive. Biamp Systems’ Global Sales Team is known industry-wide for its commitment to the customer. Whether it’s with distributors, consultants, integrators, or the end user, Biamp knows success goes beyond the initial sale. Partnership is more than a word. Everyday it assists by recommending products, consulting on designs, and joining end-user conversations. Its passion is obvious in everyday conversations. Its employees love what they do; they love the variety; and they love their customers. BTX is a unique and valuable support partner throughout all phases of a project. Its experienced team of CTS-certified professionals can recommend and support solutions from a carefully handpicked pool of high-value, high-tech products that were selected for how well they work and how well they work together. BTX reaches into all diverse corners of the AV industry and after nearly 50 years of sharing solutions, it has accumulated an arsenal of creative designs that give its customers a true competitive advantage. CrestronCrestron is committed to helping its dealers expand their business and close more deals. Crestron offers use of its state-of-the-art Crestron Experience Centers and Design Showrooms, personalized executive briefings and tours, case studies, co-op advertising, and live online system design assistance. Its market development managers provide their dealers with expert support when selling into key vertical markets including corporate, hospitality, government, military, and education, even teaming up to deliver presentations and live demos to prospective clients. Draper offers comprehensive screen selection tools. Draper provides continuous training to keep dealers and its sales staff up to date. It works through social media to keep in touch with dealers, distributors, and end users, and provide content for dealers to use in their own social media outreach. It offers literature in printed form and as PDF on the Draper website for quick and easy access. Oh, and when you call, you get a real, knowledgeable person! Extron was founded on the core value of professional integrity with the ultimate goal of complete customer satisfaction. This commitment is reflected in its three ongoing guiding principles: service, support, and solutions. Extron employees are prepared to do whatever it takes to make certain that the entire process of doing business with the company is a positive and professionally rewarding experience for you. Middle Atlantic’s knowledgeable, dedicated sales team provides ongoing support at every stage of a project. Committed to streamlining business operations for dealers and integrators, the team provides personalized service and assistance. They identify the right parts needed for the job, bundle parts into one custom part number for efficient ordering, and deliver on a specific date—easing the burden of project management. Ready at a moment’s notice, they’ll troubleshoot and repair connectivity issues, even on site. The highly connected, cross-trained Peerless-AV sales team extends unified messages and quality support. Focused on education and strategy, the team presents holistic, cohesive technology solutions—from a single supplier. This efficiency and reliability is a great benefit to partners. The team also creates pull-through demand by working with end users, influencing specifications, and mating business partners through an innovative project registration process. Through this, Peerless-AV offers a win-win-win approach with its distributors and integration partners. At Shure, an outstanding sales experience is our number one priority. Shure products and customer service are designed to meet and exceed expectations. Shure’s Product Technical Support Team offers 190+ years of audio industry experience, an extensive FAQ and educational library. Designed for advanced wireless and networkable products, the Systems Support Group provides in-depth expertise through free educational activities. Access is available via phone, email, and online chat, making it easy to reach a knowledgeable expert. Symetrix prides itself on its exemplary sales support team. With regional sales managers covering east to west, customers can be assured that their questions will not go unanswered. Its inside sales support team ensures that all calls to HQ get answered and orders that are placed usually ship the same day. Customer service is the number-one priority at Symetrix. SYNNEX’s sales team not only helps integrators secure core pro AV deals, but also expands their products and services portfolio with connected solutions that overlay into wireless infrastructure, video conferencing, and mobility. Integrators don’t have to say “no” to IT-type projects because SYNNEX is there to back them up. Even better, SYNNEX provides a proprietary SPIFF report customized for each customer to capture available funds and not leave any money on the table. Vaddio strives to provide excellent customer support. Whether you are calling for a technical, sales, or order-tracking question, you always receive a response back within the same day, oftentimes within one to two hours. The Vaddio team is always polite and helpful. They strive to provide an answer or solution correctly the first time, or will work with you if the problem takes longer to resolve. ViewSonic’s extensive and experienced sales organization is dedicated to providing the best industry-leading sales support. With reliable 24/7 customer assistance and in-house VIP service, our sales team provides top to bottom support to benefit our partners’ goals. ViewSonic provides the tools for partner success through custom tailored programs, professional marketing content, special pricing, 24-hour turnaround bid desk, technical assistance, training, and lead management. AVAD Tech Support offers integrators unparalleled product knowledge from an in-house team of experts, aimed at helping dealers hone their competitive edge and troubleshoot system integration. First-class support is available at each of its branches, in addition to dedicated phone and email support access. AVAD’s valuable support includes assistance from the AVAD System Design Group, a team of technology experts who provide residential and commercial design services including needs analysis, AutoCAD presentations, and product selection. Biamp Systems’ Application Engineering Team is famous within the AV industry for its never-say-die troubleshooting determination and commitment, immeasurable product and manufacturer knowledge, and ability to break down solutions in a way that any buyer, installer, or end user can easily understand. Available around the world, virtually 24/7, Biamp’s all-star team of professionals will stay with the customer until the problem is solved—making above-and-beyond service just another day at the office. CrestronWith more than 90 offices around the world, fully staffed with certified technicians, Crestron provides expert local support wherever you are. Its award-winning True Blue Support Team is always on call to quickly respond to and resolve any issue. When you call, its advanced tracking software ensures every customer gets taken care of promptly, even after hours. It can also dispatch its Advanced Technical Support Group (ATSG) to your job site at a moment’s notice—free. Extron tech support is second to none in the industry. Customers will always hear a live voice on the telephone and have access to 24-hour hotline support. Extron provides after-hours technical support, including weekends and holidays. Whether you need help commissioning or designing small to large systems, or have a last-minute troubleshooting question in the middle of the night, a trained and knowledgeable engineer will be there to help. Extron stands by a 100-percent satisfaction guarantee! Middle Atlantic’s Customer Service team is devoted to providing reliable and dedicated support at every level, from technical support, design services and custom product design, to walking a customer through rack installation over the phone. Illustrating the company’s customer-first philosophy, its team is available by phone, email, and live chat via the website. Even when weather has closed the company headquarters, the support team has worked remotely to provide outstanding customer service. Paramount to every successful installation is clear, open communication. That’s why customer support is at the core of Revolabs’ commitment to providing A-class service. A team of expert technicians is available anytime, anywhere to quickly answer questions via email or phone. The company’s technical knowledge base, together with its online availability of resources, including software and firmware downloads, technical documentation, FAQs, and warranty information allow clients to install Revolabs’ solutions with precision and superb quality. Symetrix Technical Support is a team of experienced analytical problem solvers that go above and beyond the call of duty to help their customers. Whether you need help with system troubleshooting, AEC programming, site file design, or just plain signal flow, they are here to assist. Vaddio’s tech support staff is a group of bright individuals willing to help troubleshoot your issues. Call in and request your favorite tech support member, or meet one of the other great individuals on the team; you will always get a live person! They are in the office before and after the company’s normal hours of operation to make sure your questions are answered. Its online support site tracks tickets and other useful FAQ information. ViewSonic is committed to providing our customers with exceptional service and support, and stands behind the quality of our products. The ViewSonic Customer Care center is staffed 24/7 for the convenience of all of our partners and customers. Our award-winning support and service teams ensure unparalleled customer satisfaction. The Greatest Warranty You’ll Never Need: Atlona’s 10 Year Limited Warranty underscores Atlona’s commitment to designing long-term product reliability and performance into every residential and commercial product they sell. As the average life of an AV component is five to seven years, the warranty invariably outlives the products it covers. Worth noting, 95 percent of Atlona’s active product defective rate is below 1 percent, the defective rate for the remaining 5 percent of its products is below 2 percent. Bright thinking, bright ideas: All NanoLumens solutions come backed by a six-year, Nixel to Pixel Warranty that backs the large-scale visual displays all the way down to the individual LED. Pixels fail from time to time, but NanoLumens won’t. It provides an industry-leading full warranty of continuous use, “Because when you are truly serious about something, you stand behind it.” With bright thinking and American pride, there isn’t a better, higher-quality team than the one than stands behind its product at NanoLumens. Backed by our 28-year reputation for quality and reliability, ViewSonic products are all covered by industry-leading warranties that not only deliver more value, but more peace of mind. Our industry-leading projector warranty includes a three year limited parts and labor, one year lamp, and first year free Express Exchange service, while our monitors and display solutions are backed by one of the industry’s best pixel performance policies and a three year limited warranty. AVAD's National Freight Program enables dealers to pick up or ship orders, with free freight via UPS Ground for orders of $750 plus, and free freight via truck with waived service fees for a single order of $3,500 plus. Its personalized freight program assures products arrive on time and in good shape. Additionally, it offers a 90-day “good as new” return program and in the instance any product fails within 30 days, integrators can exchange it hassle free. CrestronThe Express 48 repair program provides a 48-hour expedited repair service option to Crestron dealers. For a pre-determined fixed rate, Express 48 provides an added layer of support, ensuring rapid turnaround on repairs during time-sensitive projects. Express 48 applies to both warranty and non-warranty Crestron repairs. The procedure is simple. Crestron support representatives ask the customer up front whether they would like to expedite repair services or use the standard repair service option. With 10 US distribution centers strategically located, SYNNEX is able to deliver to 95 percent of locations in one day, while offering regionally based customers same-day pickup or delivery. In addition to its reach, SYNNEX has negotiated rates with the top parcel and LTL carriers, providing customers with options that fit their business. SYNNEX has the product where and when you need it, with the most competitive rates in the industry. CrestronCrestron dedicates a great deal of resources to make it easy for its dealers to learn about and sell Crestron products. Non-registered visitors to the Crestron website see only a small fraction of the content available 24/7 to registered users: a steady stream of product videos, beautiful brochures, sell sheets, case studies, press releases, ads, articles, white papers, PowerPoint presentations, digital signage, configuration tools, specifications, detailed CAD drawings, pricing, and the ability to schedule visits to showrooms and Experience Centers. For most products, Extron provides several forms of collateral to communicate essential information in an easy-to-understand format, including pricing, specs, diagrams, and informative product videos that highlight essential features. For select products, Extron has created the Out of the Box video series, which illustrates just how easy Extron products are to set up and integrate into any AV system. In addition, Extron offers a mobile version of the website.